Anecdotally, I’ve been noticing a minor trend in technology marketing circles of late – namely, that a high percentage of demand generation campaigns seem to be presenting a product demo as the primary offer. Worse yet, I fear the condition (let’s call it “demo-itis”) may be contagious. 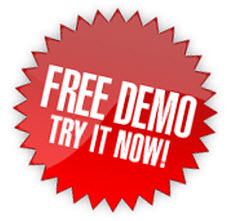 It’s easy to understand the appeal that demo offers provide. One, they don’t require the resources and development cycles of a new white paper or Webinar or infographic. Secondly, what sales rep doesn’t like demo leads? A demo request is almost always a Sales Accepted Lead (SAL). Demos short cut the demand generation process and give sales what they want, namely someone with a short-term interest in the product they’re selling. Of course, designing demand gen campaigns solely to generate highly qualified leads is problematic. For one, demo leads are on average (based on our work with tech clients) up to 3x more expensive than leads generated by other, information-type offers, say white papers or Webinars. Secondly, a demo is by definition a late stage offer. That is, it will only ever appeal to that small subset of prospects who have already decided 1) they have the problem your technology solves, 2) they’re ready to do something about it, and 3) they think your product warrants a closer look. Focus your demand generation efforts too much on generating demos, and you’ll be leaving 60-70 percent of potential prospects (and customers) on the table simply because they’re just not at the stage to where they’re ready to listen to a product pitch. Once you’ve captured that broader spectrum of leads, some of whom will almost certainly be more qualified than others (or at least, further along the sales cycle), use automated lead nurturing to filter, qualify, cultivate, score, and ultimately convert them to qualified opportunities. Executed well, a demand generation strategy designed to capture a broad spectrum of inbound leads is destined to always generate more qualified leads in the long term, compared to a strategy focused on generating on “hot leads” exclusively. Remember, demos can also serve as secondary offers – for example, on thank you pages, in fulfillment emails (emails that you use to send someone the link to the white paper they requested, for example). Presented “after the fact” as such in conjunction with other offers, they won’t scare off early stage prospects, and yet you’ll be presenting the opportunity to say “yes” to the demo if they’re indeed ready. This entry was posted in B2B Marketing, Campaign Planning, Campaign Strategy, Content marketing, Demand Generation, lead generation, Lead Nurturing, Offer Strategy and tagged b2b demand generation, Demand Generation, demand generation best practices, demand generation offer strategy, demand generation offers, demo offers, lead generation offers on June 10, 2013 by Howard Sewell. Howard, nice article – thank you. For clarification, in this instance are you defining a ‘Demo’ as a free trial — that is, the prospect walks through and uses the product at their own pace, or is it a ‘demonstration’ of the product one-on-one where the prospect is in direct communications with the vendor. Thanks for clarifying. Thanks Howard. It is interesting that you view a free trial in a similar light as a demo – as a late stage offer. I have been viewing our subscription product free trial as ‘early stage’ since the prospect can easily discover the trial through organic discovery. That said, it is a fairly high-end product and the prospect cannot access all the product content. The registration process collects a good level of contact info, and we are embarking on a lead nurturing program shortly. I’m curious, have you seen any good data on conversion rates (closing) of free trials, and what level of contact information is gathered? Trial conversion rates run the gamut, I’m afraid, depending on the type of product. And you’re correct – trials CAN work as an early stage offer for a very simply online tool (say, Dropbox) but are less effective in our experience for more complex products that (as you say) require more guidance and sales interaction. We advise most clients to collect the minimum amount of contact information necessary (name, email, company) – especially when there are “smart forms” and other tools available that can append information automatically. In your situation, I’d strongly recommend an A/B test (perhaps using your PPC campaign as a test platform) to gauge whether a non-trial offer can bring more prospects into the funnel and ultimately yield more opportunities.